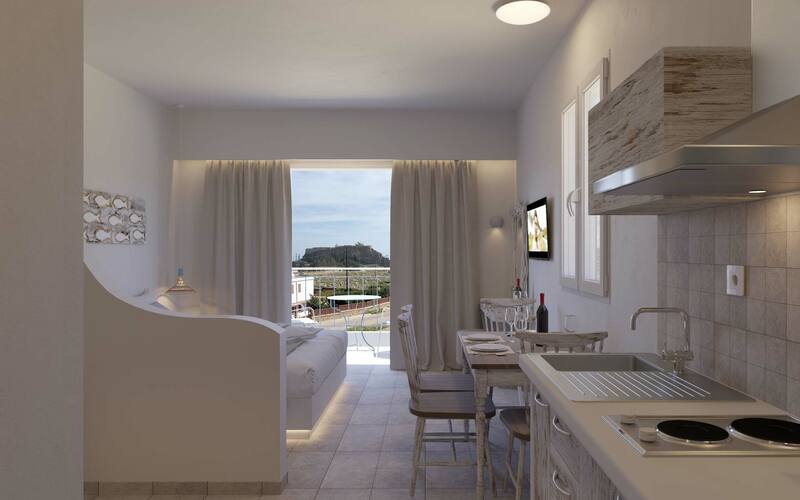 Lindian Myth sea view studios and family apartments in Lindos Rhodes island are located in the beautiful Lindos, an area that distinguishes for its traditional colours, beauty and remarkable history. 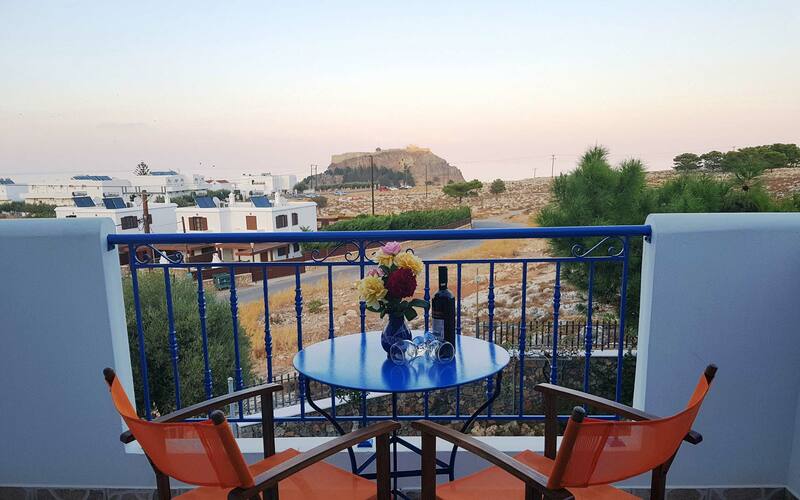 Lindian Myth is situated in an idyllic location of Lindos, with wonderful views of the Acropolis in the eastern side. Lindos is about 55 km south of Rhodes Town, while it is one of the places every visitor should see. It lies at the Cape of Krana. The famous Acropolis of Lindos on the top of the hill impresses every visitor. If you look down the Acropolis, on the bay, you will see the church of St. Paul, built at the point where the saint disembarked after a big storm during his trip to Jerusalem. Lindian Myth studios complex offers a comfortable accommodation in Rhodes, in a cozy and friendly ambience. 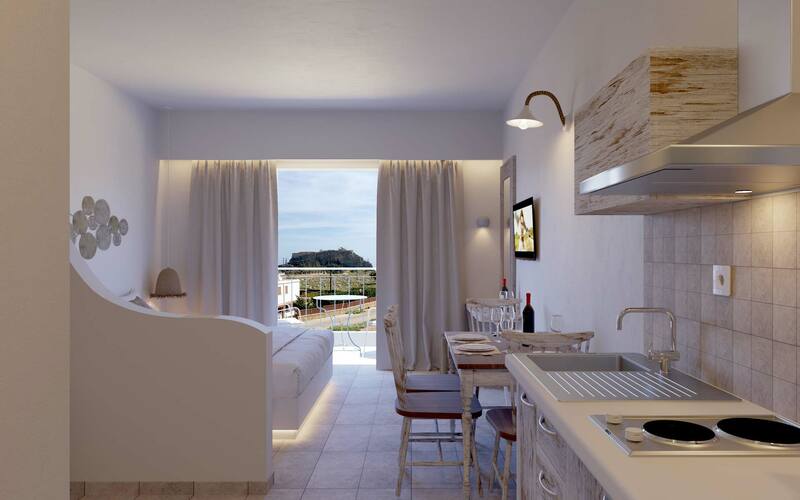 Lindian Myth apartments are built according to the traditional architecture of Lindos. 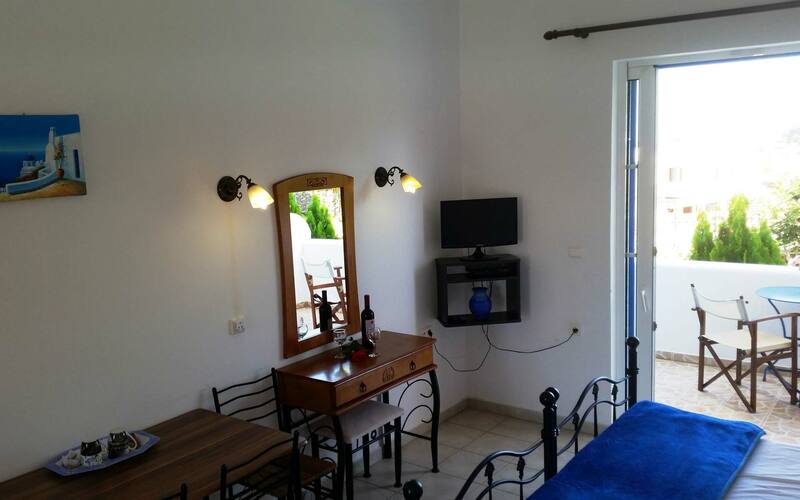 All rooms and common areas are designed with imagination and according to fengshui, offering an enjoyable and affordable accommodation in Lindos. Come and relax in your room balcony enjoying the magnificent view. 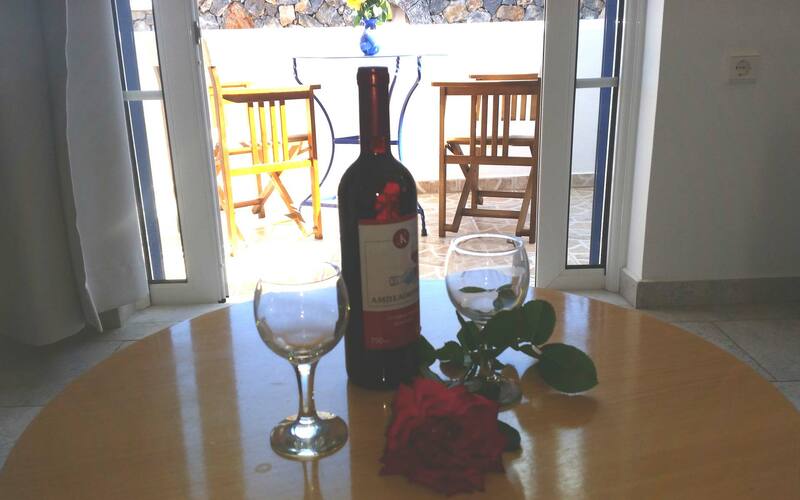 Enjoy your coffee in one of Lindos cafes, entertain at the nightclubs and try local recipes! 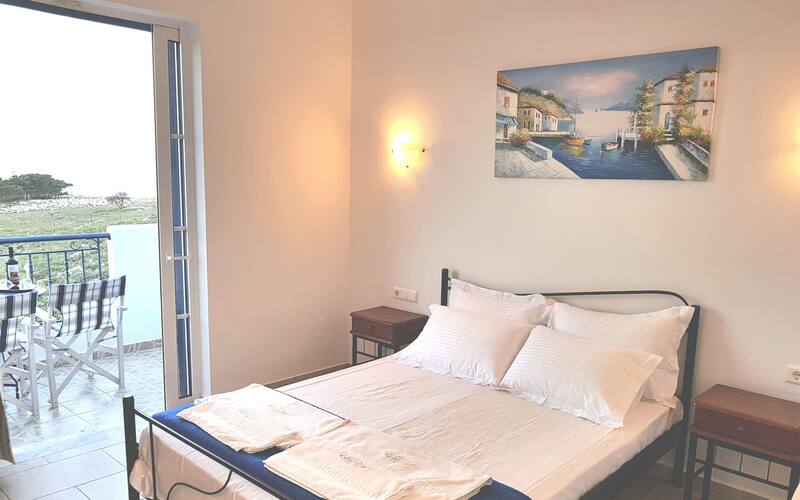 We are waiting for you in our studios in Lindos Rhodes, a small paradise called Lindian Myth and promise you a memorable vacation in Rhodes island. 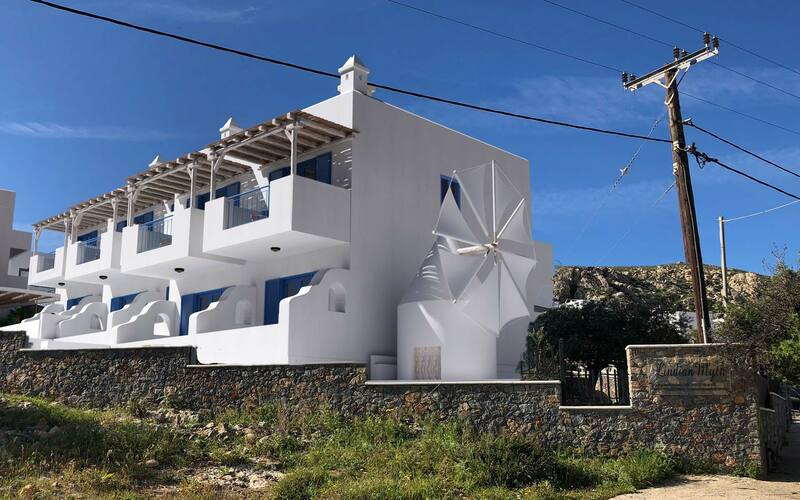 Lindian Myth sea view studios and family apartments are located in the beautiful Lindos, an area that distinguishes for its traditional colours, beauty and remarkable history. 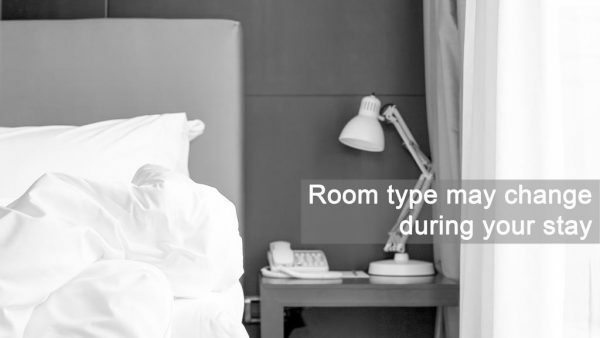 The studios are just 5 minutes walk from the nearest supermarket and restaurant. Lindos main village is a further 5-10 minute walk and 15 minutes to the beach. During the day there is a free minibus transfer from Krana square to the main square of Lindos. 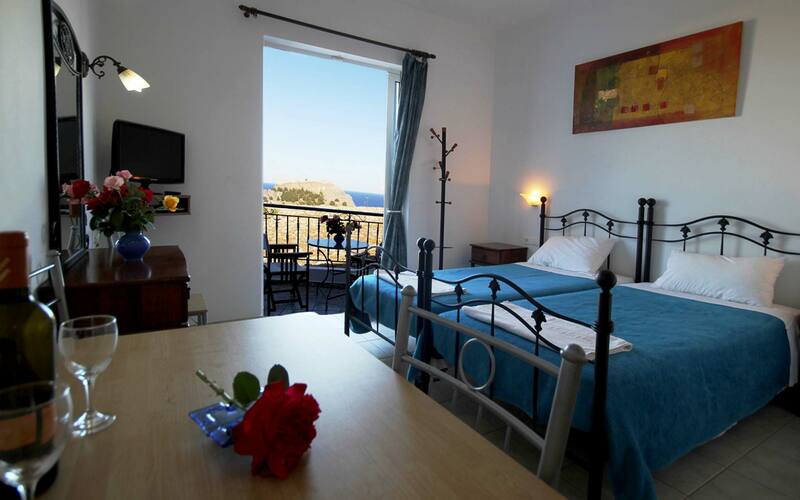 Lindian Myth sea view studios and family apartments in Lindos offers modern facilities and services for a pleasant stay in Rhodes island. Lindian Myth and Lambis Apartments share the existent swimming pool area, which also feature pool bar, sitting area, biliards, children’s playground and free of charge sun beds. 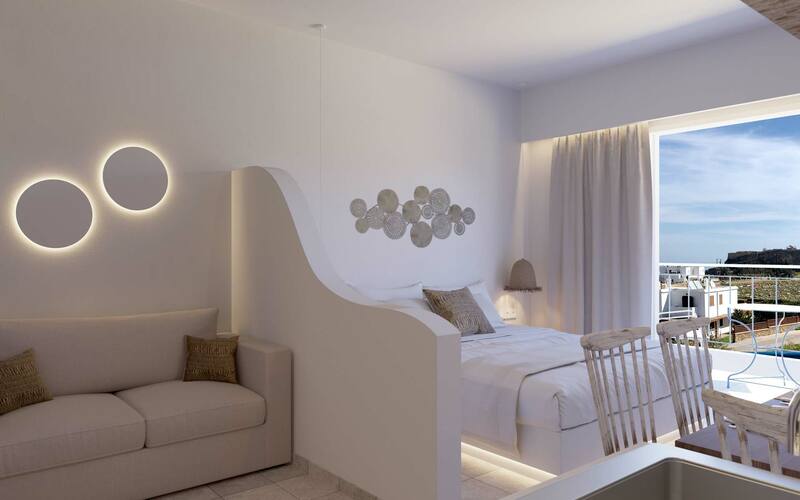 Lindian Myth studios in Lindos Rhodes provide maid service every day, change of sheets 3-4 times a week , towels 4 times a week. Experience Greek Easter and its traditions! Book on the 24 Aprill till 2 May 2019 and benefit from our offers. Enjoy the Greek Easter week !